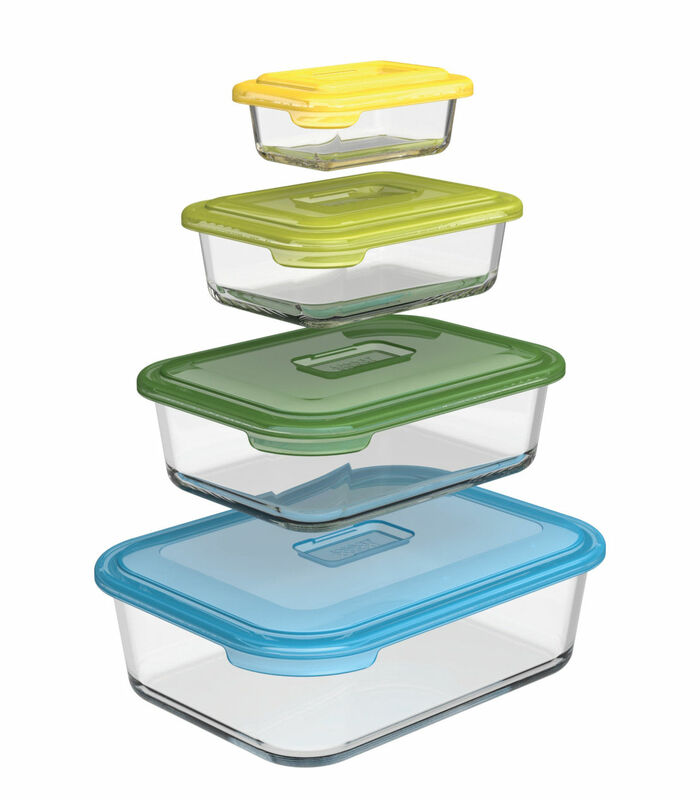 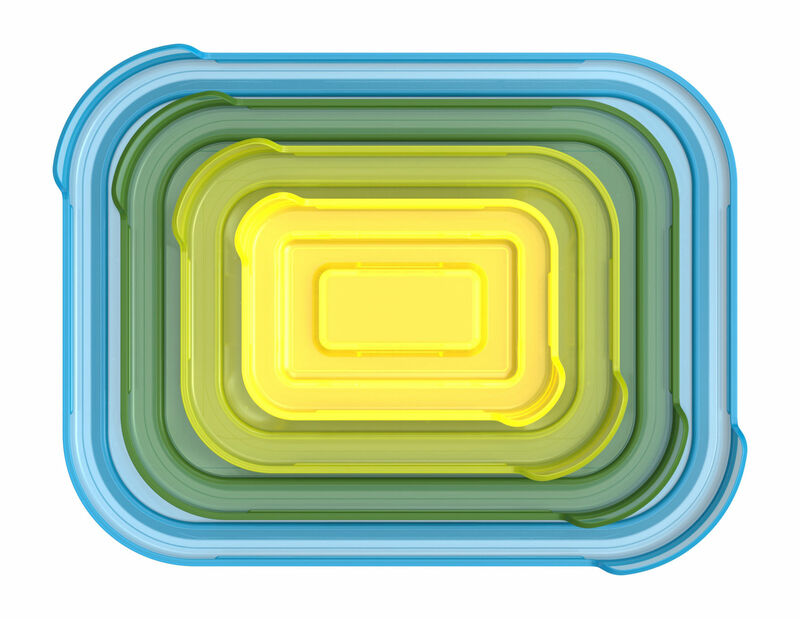 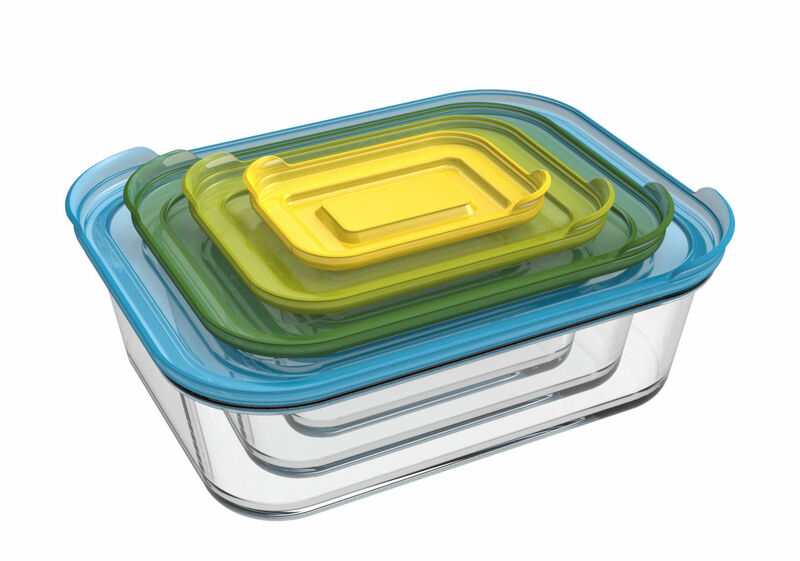 This set of 4 Nest Glass Storage boxes is ideal to keep your sauces and leftovers from your favorite dishes. 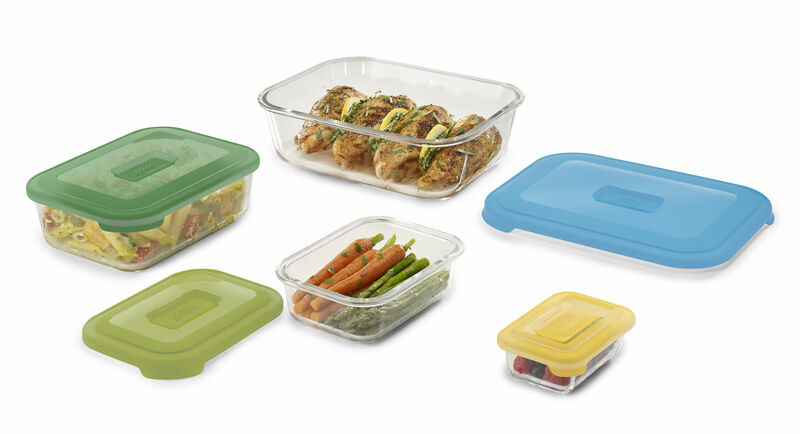 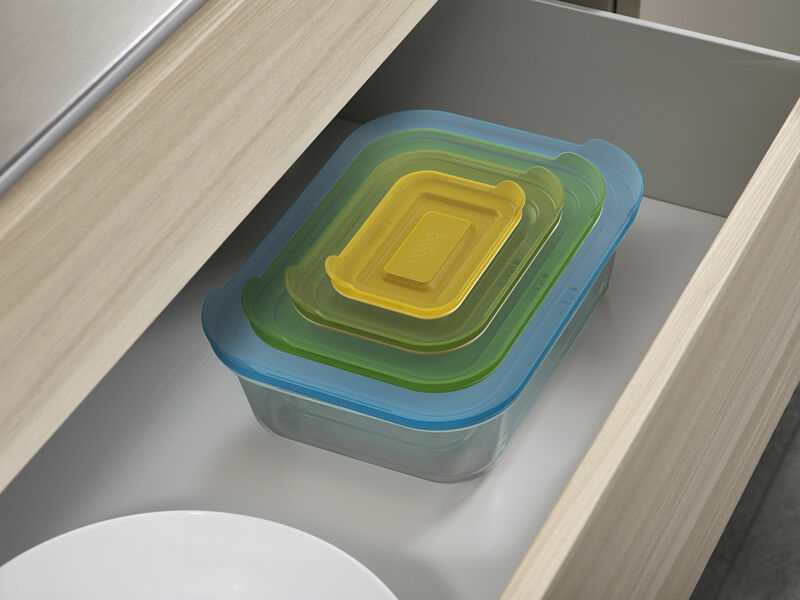 You will be able to take your meals to take away and heat them safely and without health risk thanks to their borosilicate glass material resistant to thermal shocks. These 4 boxes are hermetic, practical, they are stackable and take up little space in your closets.